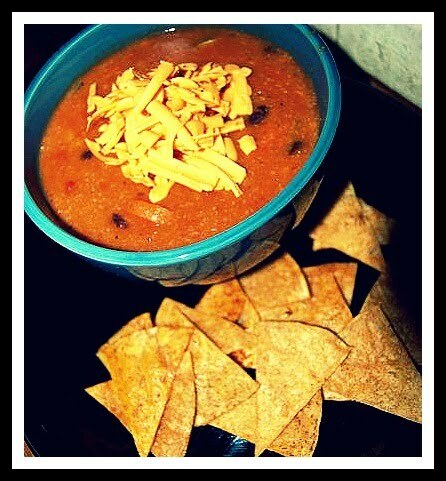 First recipe of the new year....Black Bean & Corn Tamale Soup w/Oven Baked Corn Chips. 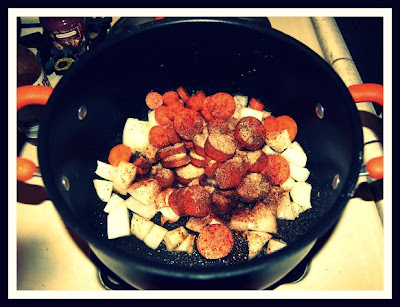 Combine onions, carrot and zucchini in large stock pot and saute with olive oil until carrots start to get tender. 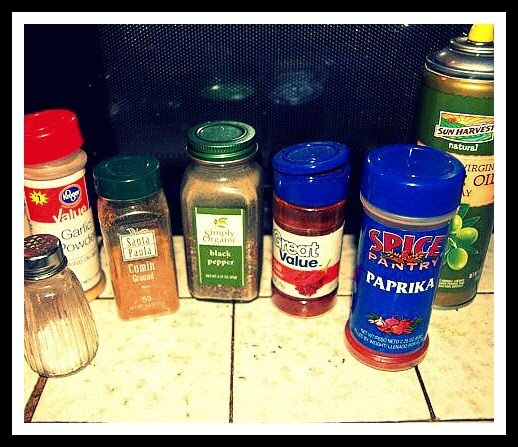 Add canned tomatoes and seasonings. 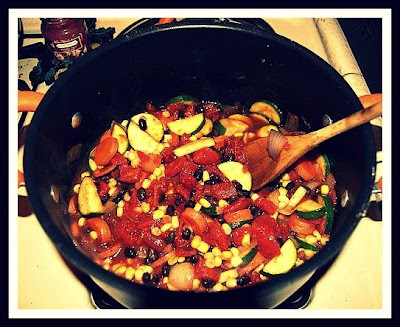 Stir in black beans. Add broth. Bring to a boil and slowly stir in the cornmeal. Return to boil and then reduce to a simmer. 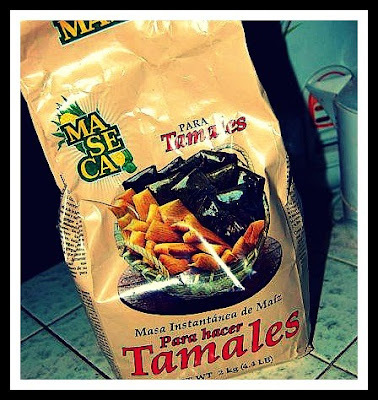 (the cornmeal thickens the soup and gives it the tamale flavor. If soup gets too thick add 1/2-1 cups water). 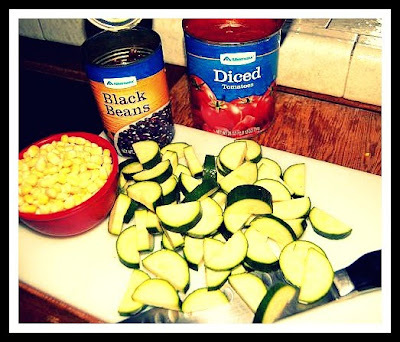 10 minutes before soup is finished add frozen corn and cook soup until heated through. Pre-heat oven to 350. Cut tortillas using a knife or pizza cutter. 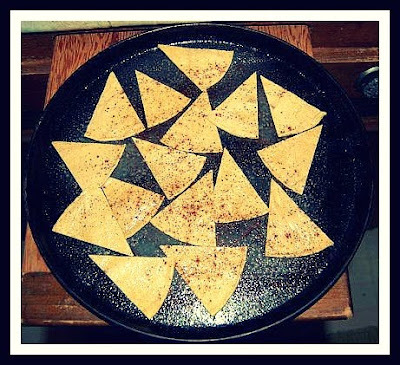 Spray baking sheet with cooking spray and lay out tortilla triangles so that none are overlapping. Spray with cooking spray and then sprinkle spices on top. bake for about 8 minutes and then turn over to bake evenly. Bake 8-10 minutes longer, shaking pan every 2 minutes. Remove from oven and let cool slightly. Serve on side with soup. So there you go, first recipe completed successfully. Not only is it completed, but it was AMAZING!! Yay me! Looks yummy and I don't even really like soups all that much! i am sure Rob would love it.